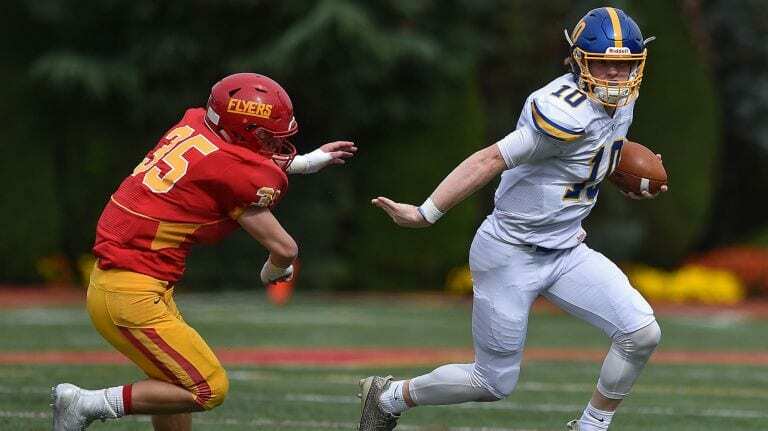 When this season’s CHSFL schedule was revealed, the players from Chaminade and Kellenberg all circled October 14. The meeting meant nothing to either’s title hopes — because they play in different classes — but it meant everything for area bragging rights. Sluka, Delucia and the rest of their Firebirds teammates will be dominating those conversations in that case. In a game marked by passionate play from both teams, Kellenberg was the dominant force in a 42-14 triumph before a near capacity crowd at the Flyers’ Gold Star Stadium.